Travelpony is a new hotel booking site (or OTA, if you want to call it as such). Their prices look to be pretty competitive/similar to what’s offered on other sites. However, right now they are offering two potentially very lucrative promotions which makes it a great place to book your next hotel stay. Right now, Travelpony are offering 10 to 45% off the cheapest available rate. 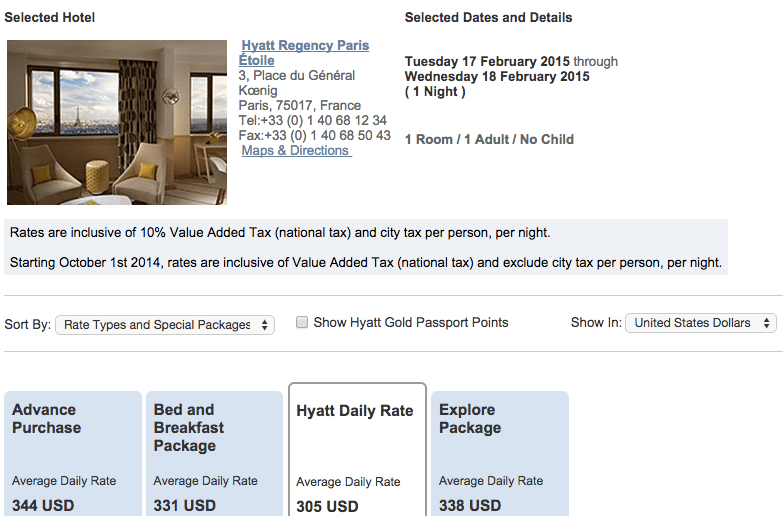 Unsurprisingly, most of the hotels are at the 10% figure, however there are a few (mostly European) hotels offering bigger discounts (the Hyatt Regency Paris Etoile for example, at 45%). Unlike many other discount code promotions offered by hotel sites, Travelpony’s discount applies to every hotel available for sale. A neat way to pick up a 10% discount, for sure. For some hotels (such as the Hilton properties, as I’ve observed) the discount value hidden, and isn’t revealed until the booking stage. The 10% minimum still applies here, so you can safely assume it’s (at least) 10% off the published rate. To access these savings, simply visit the Travelpony website and enter the promo code TPSAVINGS during checkout. Travelpony is also offering a $35 discount on hotel stays of over $200 for new customers. This promotion is stackable with the previous discount code, meaning you are potentially getting over 50% off the standard (lowest) rate of certain hotels. This is an incredible deal, not much more to say. Note that the $200 threshold is based on the original rate before discounts. 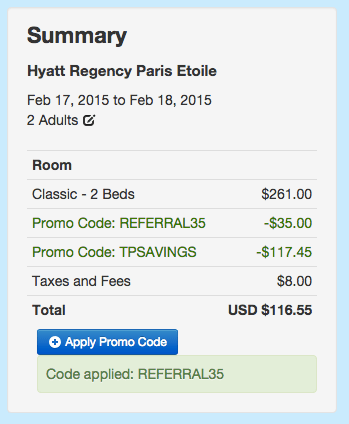 So as you can see above, a $261 room at the Hyatt Regency Paris Etoile can be obtained for $116, or a 55% discount. The $35 discount is automatically applied to all new accounts – just sign up using this discount link and enter REFERRAL35 at checkout. The Hyatt.com rate for the same stay is going for almost $200 more or three times the price – which makes this an incredible deal in anyone’s book. You will likely not be receiving elite status credit or points on these stays, but the discount might be worth not getting points and credit. Most hotels should honour status benefits. As always, it’s important to weigh out your options and see which one is most cost-effective.